We are a small company, working with Moto Guzzi exclusively. To be precice, the V2 models from 850 cc onwards. We do this since 1996, exclusively! Moto Guzzi is a fulltime job! It is our goal, to ensure the supply of spare parts at a high quality level.- Including improvements! We test our parts in everyday situations, which is very important because aftermarket parts start coming from all over the world. Some are just useless, while others are very good. You can be sure to obtain the best possible part for your Moto-Guzzi. 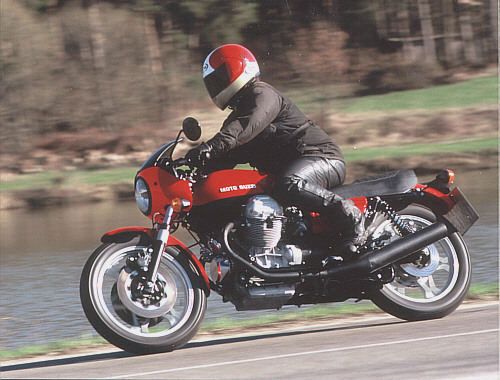 Please feel free to contact us at info@hmb-guzzi.de in english language. Or call us under +49 9172 669918, we speak english. A notification email is also sent on receipt of payment and dispatch of parcel, giving an overview of progress. There is no need to register anymore, you can order a guest. However, some of the advantages like order history, notification functions, one-click-checkout etc. can only be used by registered customers. The complete communication is run with a safe server, using SSL to protect all of your personal entries, like adresses etc. The only disadvantage is, that your order history of the old shop is no longer available. In our opinion, a reasonable compromise for better data security. If you had an account in our old shop, your password is still valid for this new shop. Please do not hesitate to contact us by phone or email in english language, if you encounter problems or have any questions or suggestions.